Kelly is a senior at Huron High School. She is at once fascinated by the creativity of writing composition and the world of biology. 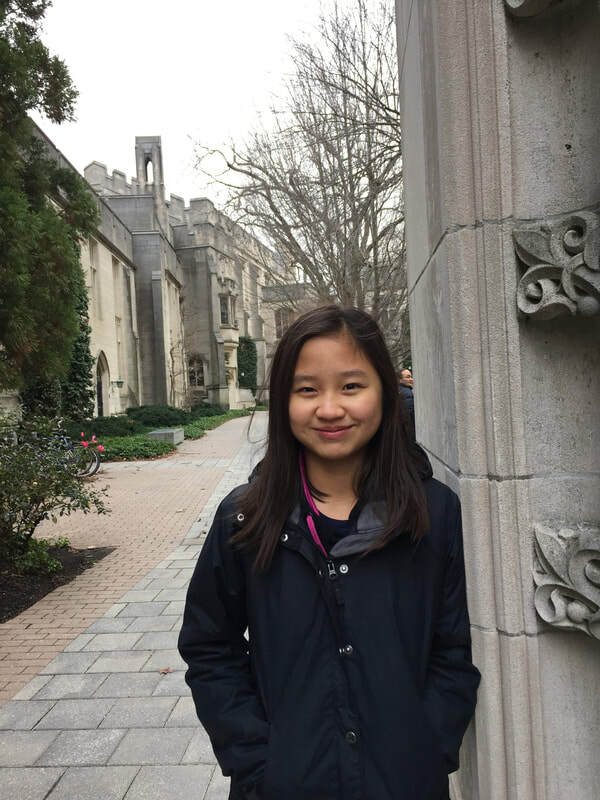 To pursue these interests, she spends much of her time either thinking about what to write next or working in a biomedical research laboratory at the University of Michigan. Kelly is not quite sure where her interests will lead her, but trusts that she will love it there. In the meantime, she gets her hands dirty at the Art Corner art studio. Kelly is also an English translator and editor for the Journal of Clinical Research, as well as teaching assistant for younger students at her Chinese school. Most importantly, Kelly will have no one forget her musical talent, which she exhibits by singing loudly and with no regard to pitch on a daily basis.